The committee shall facilitate communications between information vendors and the members of the Association by monitoring complaints and providing constructive suggestions to vendors of information in any format. The committee shall educate members on constructive ways to communicate with information vendors. The committee shall foster positive, constructive and open communication between information vendors and the membership of AALL in matters relating to provision of information in any format. 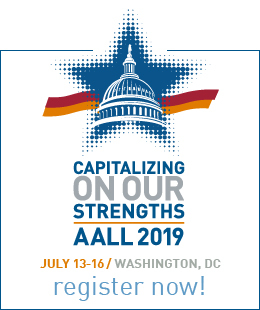 The committee shall support ongoing AALL educational initiatives and provide continuing educational opportunities for both AALL members and information vendors. The committee shall serve as a forum and resource to provide constructive suggestions to vendors. The committee shall foster a cooperative working relationship between librarians and information vendors. The committee represents the interests of all AALL members, and neither it nor its members will represent or advocate for the benefit of only one publisher or information vendor when acting in their capacity as committee members. Committee members average about three to five hours per month including a monthly conference call. Depending on the subcommittee assignment, monthly time commitments vary throughout the year. The Program Subcommittee will be very busy right after the Annual Meeting developing proposals. Subcommittee members involved with accepted programs will have continuing work to do. The Member Advocacy Subcommittee is most likely to have work throughout the year. The CRIV Sheet Subcommittee will be busy meeting deadlines for each issue. Note: Time commitments are estimates from past assignments and can change with new projects or requests for assistance from the Executive Board. All members must submit a conflict of interest statement in accordance with the AALL Conflict of Interest Policy. When appointing members to subcommittees or to work on particular tasks, the chair shall use his or her best judgment to avoid any real or perceived bias or conflict of interest. When making appointments to this committee, the president-elect will strive to achieve a balance among the interests of members employed in different settings, and consider the potential impact of publisher interests on the work of the committee. When appointing the chair of the committee, the president-elect shall use his or her best judgment to avoid any potential or perceived conflict of interest. Membership on the committee shall normally be for three years. The returning member selected as vice chair at the end of the first year will serve in that capacity in the second year and become chair in the third year. The committee shall consist of a chair, vice chair, nine members, and a non-voting Executive Board and staff liaison. 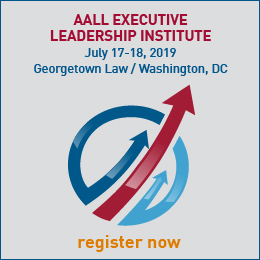 CRIV works with AALL entities regarding issues related to the committee charge.